Camp will get your child's creative brain turning! 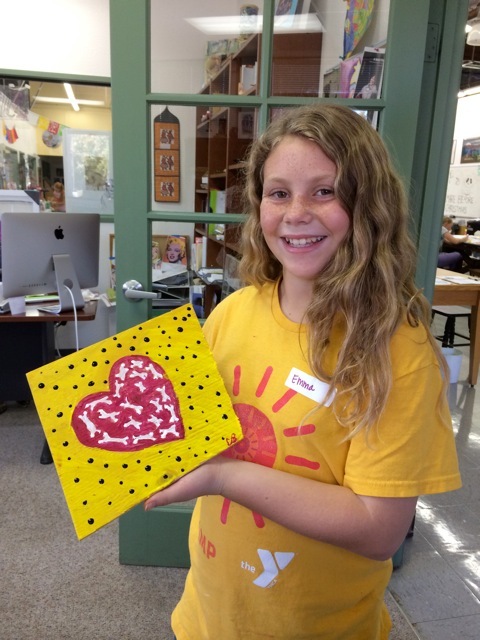 Join us at the Art Trek studio for morning, afternoon or a full day of camp! We have an array of great projects including felt crafts, mosaic tiling, zentangle® art, painting on wood and much more! All students welcome to bring a lunch and join. Full day campers must bring a lunch. · Each camper must be signed in and out by a parent/guardian with a Camp Counselor or Art Trek staff member present. Children may not be dropped off at the door or sign themselves in/out. · Child must be enrolled in grades K-8th during the 2018-2019 school year. · Our projects are carefully developed keeping in mind attention span, motor skills, and other developmental milestones. To ensure a positive and successful camp experience for everyone, children must have reached the minimum grade of kindergarten on the date of their first class. · Please dress to get messy! Aprons for campers are available. · Closed-toed shoes are advised: please, no flip-flops or sandals. · The art studio can get cold, even in the summertime. Please send a sweatshirt or sweater with your child if this could be a problem. · There is a snack break during each session for campers at approximately 10:00am and 2:30pm. If your child has food sensitivities, please provide a snack. · Classes can be transferred to another camp date if notified before the class begins. To transfer your camp date(s) email Camp@arttrek.org with the subject: Camp Transfer, and in the body of the email please specify the child’s current camp date(s) and the desired make-up date(s). · No shows will not receive a refund. · Upon cancelling a camp session(s) with more than 24-hour notice you will receive a full refund. · Upon cancelling a camp class(es) with less than 24-hour notice a $10 processing fee will be charged unless a replacement class(es) is chosen. · For any other camp questions please contact Cordelia at 805.499.1700 or email camp@arttrek.org.